As promised from the previous post, this craft will be a basic version of the anemometer. 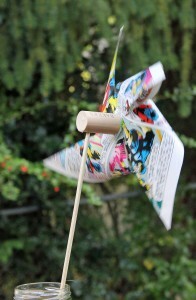 The pinwheel isn’t officially an anemometer but this classic toy is very similar in that they are both powered by the wind. Let’s get started! 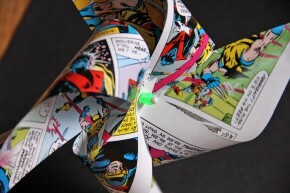 First, you’ll need sturdy paper like a magazine cover or trade paperback comic pages. Just be sure to ask your parents in advanced if you can use them. 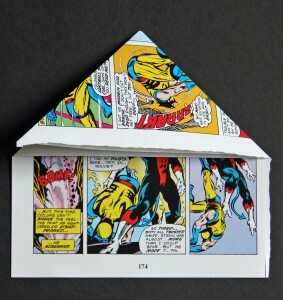 Square off a page by horizontally folding the corners. Then cut along the longest side of the triangle. Open the square and cut toward the center on each fold. Stop cutting when you get about an inch from the middle. Place a bead on the sewing pin and set aside. Gather every other corner of each triangle to the center and poke the pin through the corners and center. Feed another bead onto the pin then push it into the top of a cork. 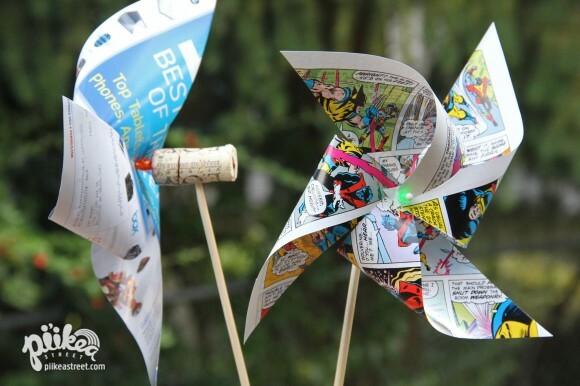 Give the pinwheel a test spin. If it doesn’t spin freely, pull the pin out a bit. Next insert the sharp end of the skewer into the cork. And that’s it! 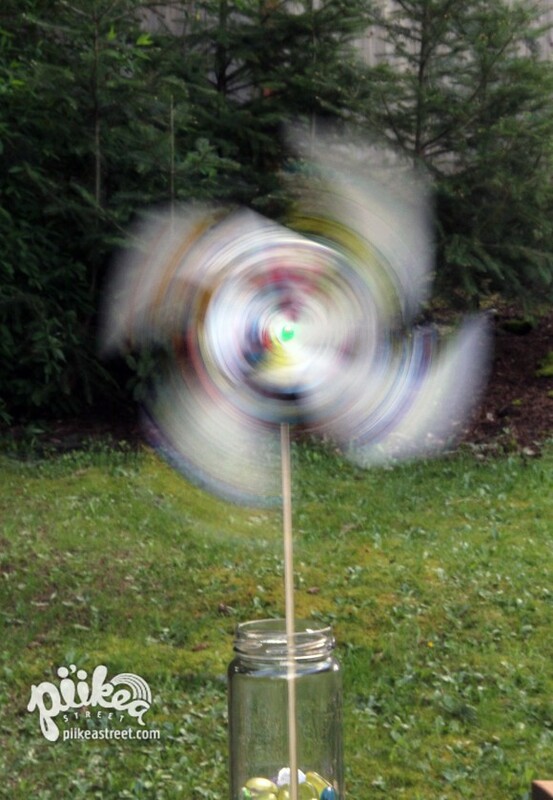 You don’t even need to wait for a windy day to play with your anemometer, I mean, pinwheel. Blow onto it or just run while holding it. It was actually windy on this day! love these, I’m sharing on my FB page.